WORLD GUITAR DAY 2017: Basics is a series for musicians designed to answer all of those questions that crop up when you first start playing an instrument. In this series, in association with Boss, we're looking at guitar effects. Once you've got your initial guitar and amp rig sorted, the next step is usually to invest in your first effects pedals. From delay, reverb and drive pedals, to multi effects units and loopers, it can be incredibly overwhelming and confusing when presented with the dazzling array of stompboxes and accessories at your local guitar shop or online retailer. That's where we come in. In this series we'll talk you through what guitar effects are, how they work, the types available and what they sound like. We'll also delve into signal chain and pedal boards and introduce you to your amp's effects loop. Overall we'll keep it clear, simple and jargon free, and help kickstart you on the path to finding your own signature guitar sound. 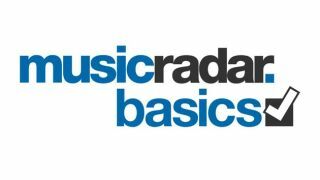 MusicRadar Basics is brought to you in association with Boss. For more information on Boss products, visit their website. Check out Boss on Facebook and Twitter. How does the guitar effects loop work? New to guitar? Check out the MusicRadar Basics electric guitar series, guiding you through everything you need to know to get started, from types of guitar and amps explained, to tuning and how to use a capo.